Video SEO can actually make or break your brand. And if you have not yet started a video marketing of your brand, you’ll definitely fall behind as video is one of the most highly consumed digital channels nowadays. According to Cisco, video content has seen an amazing progression and it is anticipated that by the year 2021 nearly 80% of the internet traffic will be video only, it is becoming more important increase your video visibility with SEO. However, creating videos is only the first step to kick-start your business traffic. The most vital step includes optimizing the content of your video for search engines. So if you do not do good SEO of your video, they will certainly not rank higher on prominent search engines such as Google, YouTube or some other. Obviously, if no one is able to find your content, your business will definitely lag behind and will not experience any conversions. There are some basic tips to increase the ranking of your video such as using appropriate keywords or optimizing the title, however you need to follow some other expert SEO strategies to hit the ground like never before. It would be less to say that video marketing has become an important tool for businesses to increase their conversions. It’s not only an important tool but also plays a crucial role in generating more business. Customers tend to watch more videos and many companies are responding according to their demands. You must have seen Facebook’s video content and Myntra providing videos showing the actuality of the particular products. So it’s high time to start your video campaign too. The process is not that simple. It’s a misconception to think that you just need to post the videos and the conversions will fall in place. No, it’s not like that! So if you are looking to actually increase your brand awareness through video, you have to compete a lot with your competitors as lakhs of videos are uploaded every hour on YouTube alone. So you have to customize your videos accordingly to increase your visibility and chances of your sales. Simple Search engine optimization would not help you; you have to go some extra mile as only applying the basics won’t offer you an advantage. You need to take some expert advice that will provide you with video-specific strategies to give you an edge in the digital market. So you must be aware of all the methodologies that naturally affects video rankings and increases your conversion rate. These strategies might include the platform from where you upload your videos, the place where you embed them, and even the basic things such as thumbnails. These all will actually have much impact on your video’s performance and rankings. What’s the use of SEO if people are not interested in your content? SEO and video content work collaboratively to increase your brand awareness, so make sure you create a linkable and shareable content that and inspires people to share more and more. Organic growth of your video is only possible if you create high-quality and engaging content. The next thing you need to do is optimize your video for mobile devices. Mobile optimization is now the central focus of video SEO. Per the analysis, mobile video watching exceeded desktop viewing, and this gap continues to grow. Although desktop video plays a chief role in driving traffic to your website, however, a video SEO campaign is not complete without mobile optimization. Optimizing videos for mobile consumption is not a complicated process. You just need to ensure that your website and video player is responsive so that it can be easily viewed on mobile devices. Moreover, you can also broadcast your videos on YouTube, Vimeo, and other platforms which are adjusted automatically for mobile viewing. Other than this, you also need to optimize your thumbnails which is the first thing your audience views so it would be a wise decision to spend some time optimizing thumbnails as this will greatly influence the number of clicks to your video. If you are a newbie in video marketing, you might not be aware of where to upload your business videos. But there’s no need to worry! 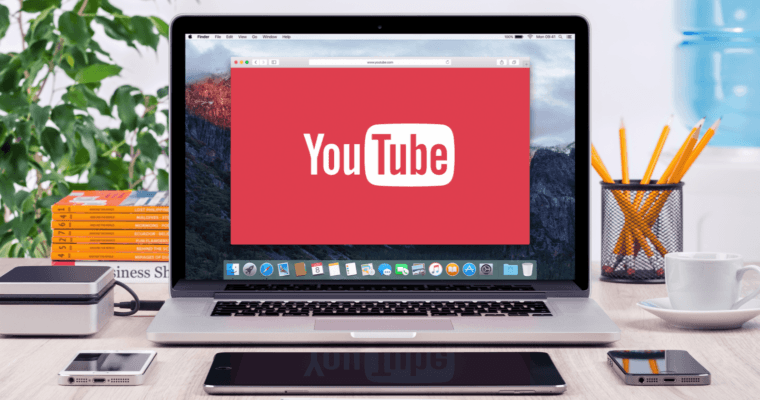 Nowadays everyone is on YouTube and if you want your brand to be found, then using YouTube as your platform seems like a clear choice. YouTube is the second biggest search engine so resorting to such a huge platform will definitely take your business to the next level. However, it not mandatory to only stick to one platform, there are many other choices available where you can upload your videos and drive more traffic. These include Vimeo, DailyMotion, Metacafe, and Veoh. If you upload your videos on some third-party site, then all the traffic generated by you will stay on those websites as well. But that’s completely fine if you want to increase your visibility. But it would be a good idea to embed videos on landing pages as it will definitely boost your conversions incredibly. Posting your videos on blog posts or social networks is another great way to gain exposure and reduce bounce rates. Google being the hub of text gives you more recognition and visibility if you add more text and captions to your video content. Titles, subtitles, and video transcripts will impart your video the significant text it requires to make you stay ahead of your digital competitors. Also, you can do scripting of your videos with keywords so that it gets optimized for search engines. Video formats that offer the most relative content are one of the best tools used to deliver contextual info. And this is why annexing captions to your video plays a crucial role in optimizing your video. Thus you can increase your rankings higher by presenting more content in the format detected by the search engines. Therefore, using a particular video format will impart your video more buzz on search engines and in turn increases your brand awareness. There are actually several search engine optimization methodologies that you can apply for your video content but all that matters is quality. It’s the fundamental strategy to drive organic content to your video. It’s the authentic content that will attract the spectators and its optimization will ensure a higher position on SERPs. Once you have got quality content to publish, you can then use the above ways to get noticed in the digital market. 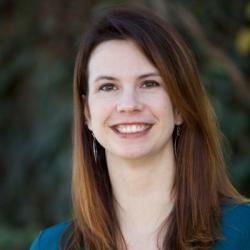 Sarah Briggs is a blogger and content marketer for Woosper offers top Seo Services In Vancouver. She has a zeal for technology and industry-specific happenings. She is an amid health-freak with a craving tongue which often. Travelling and reading are the activities where she spends most of her time when not writing for Woosper.ca. You can follow her on Twitter & LinkedIn. Thanks for such a wonderful information. Now after reading your article. It clear all my doubts. Videos are the easy way to boost the impact of your marketing strategies. YouTube is the best place to start video marketing. Every YouTuber should learn the art of increasing number of views using SEO. Rightly said, 80% of the traffic is going to be drawn through videos only. Thanks for this information, keep sharing such knowledgeable pieces.